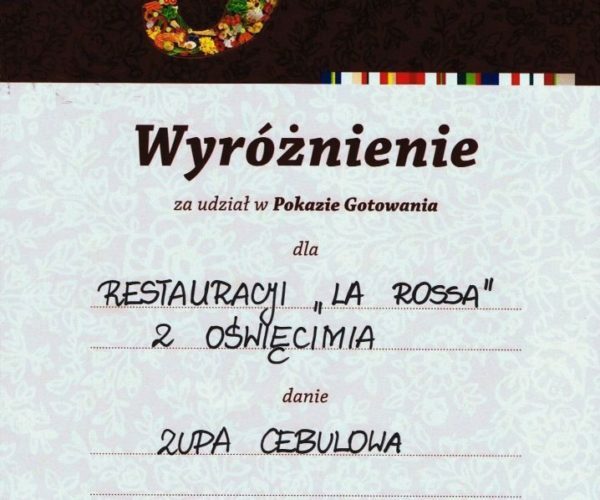 The La Rossa Restaurant is an ideal place for those who look for a relaxing athmosphere, good company, but first of all delicious cuisine. 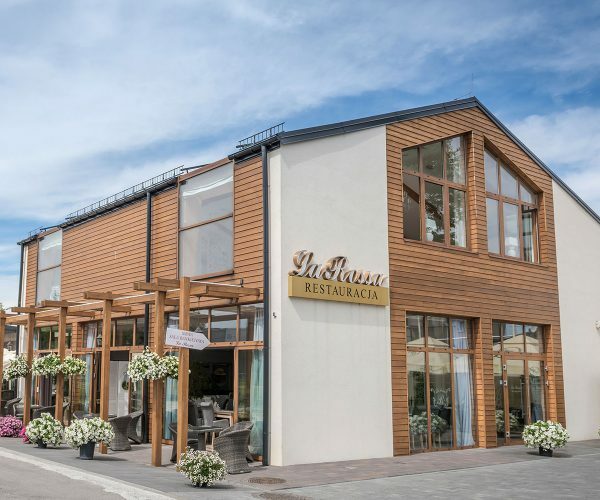 La Rossa Restaurant offers occasional party services. 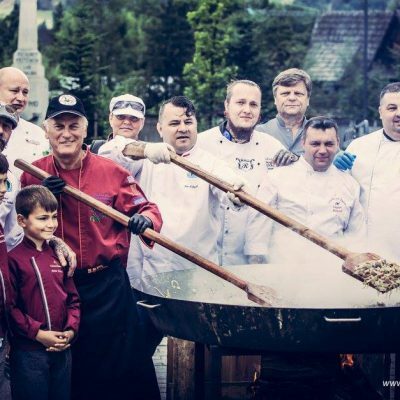 For many years we have organized picnics, parties, balls, integration and occasional events (baptisms, communions, feasts, anniversaries), feasts, business lunches, training sessions, conferences and corporate meetings. 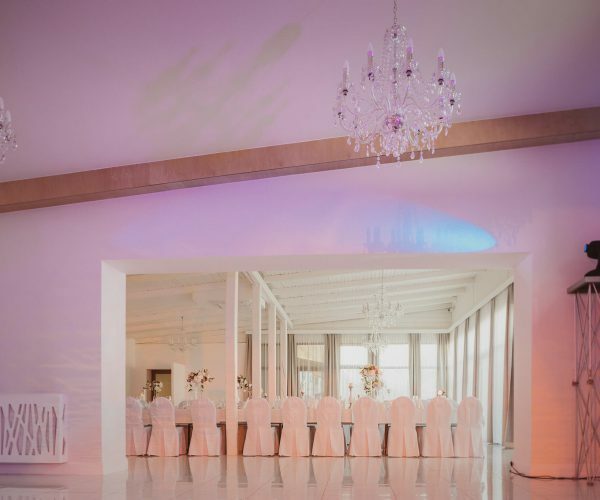 We specialise in organising wedding parties! 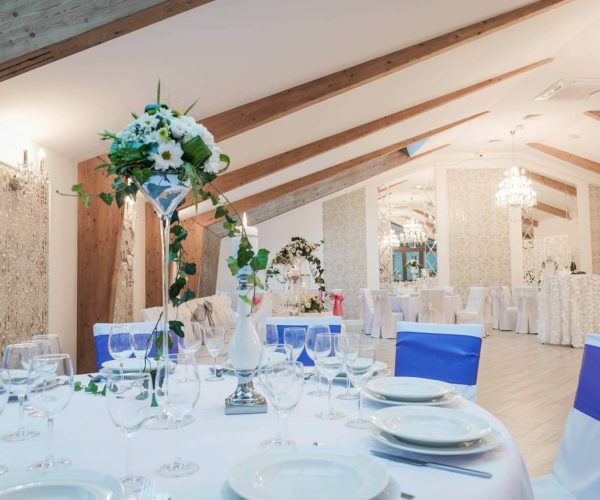 If you want your wedding – the most important day of your life – to be truly special, let us organise it at the La Rossa Restaurant. 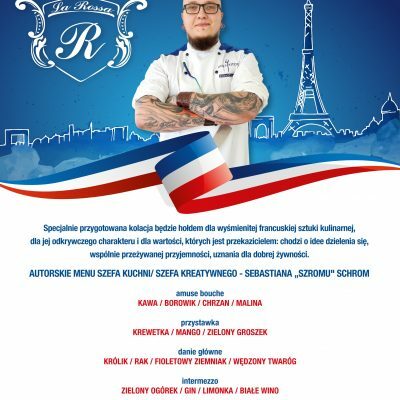 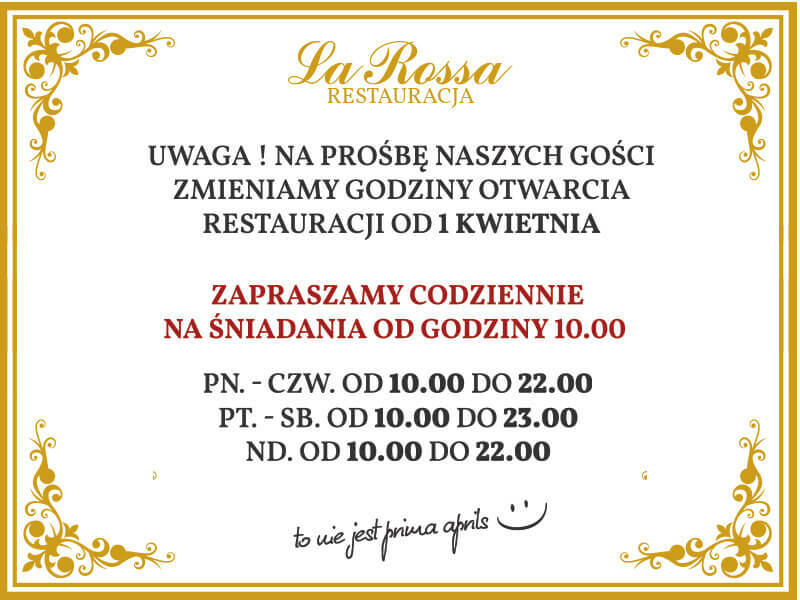 The La Rossa Restaurant offers the possibility to carry out the phone orders with deliveries. 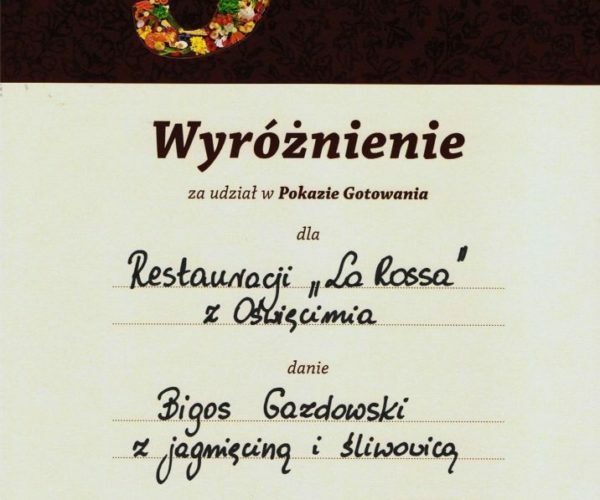 See the phone orders menu, call us, place the order and we will deliver the meal to the given address. 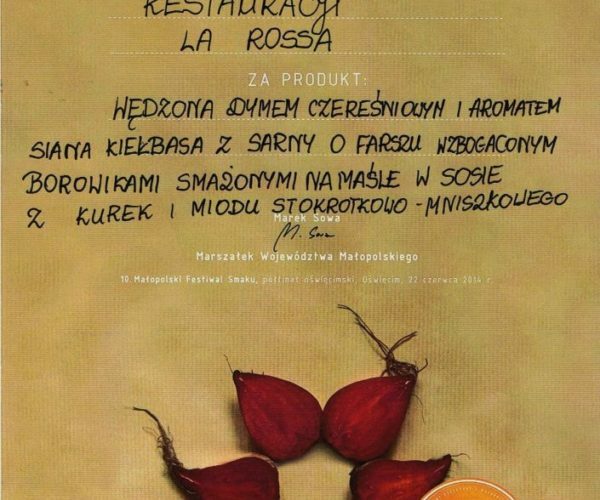 We deliver from Monday to Friday from 12.00pm to 9pm. 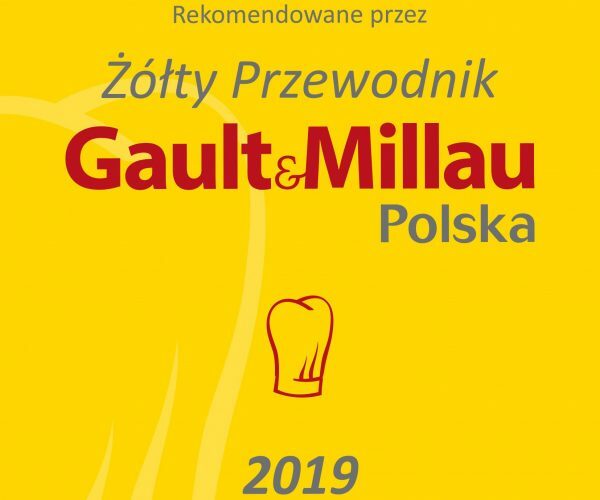 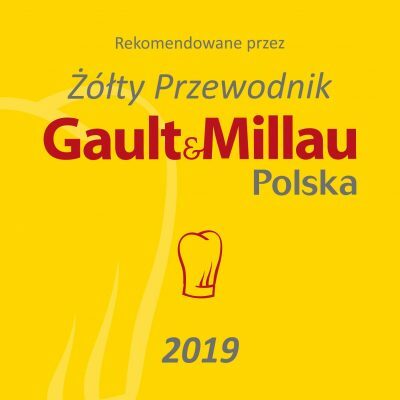 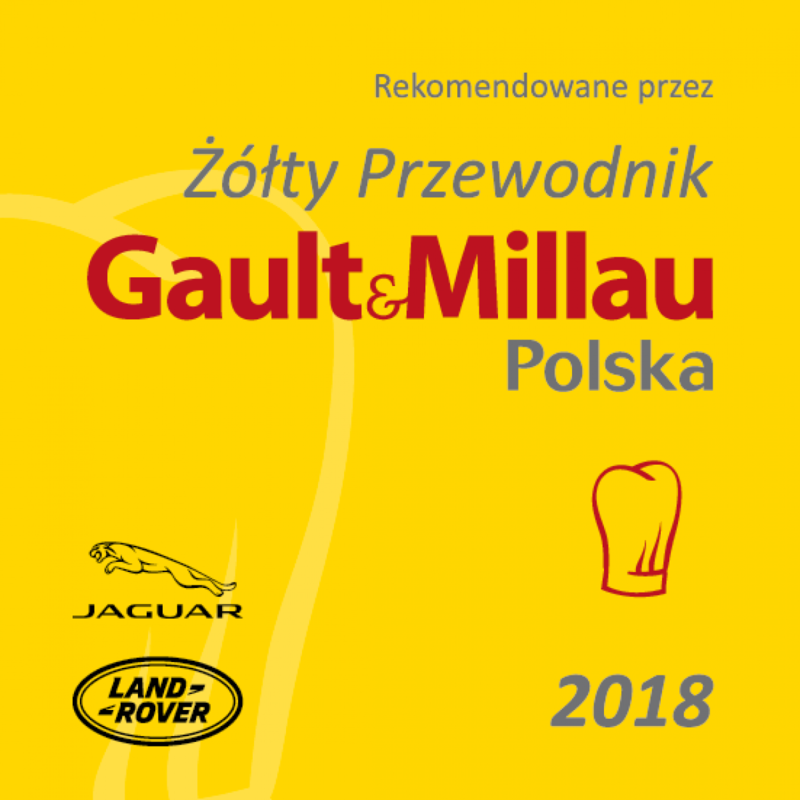 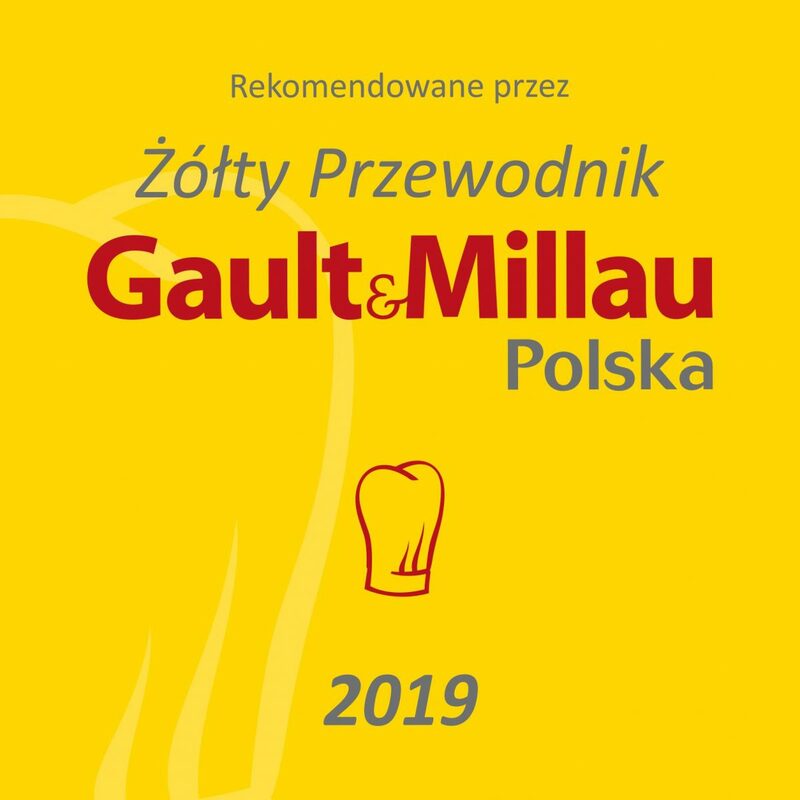 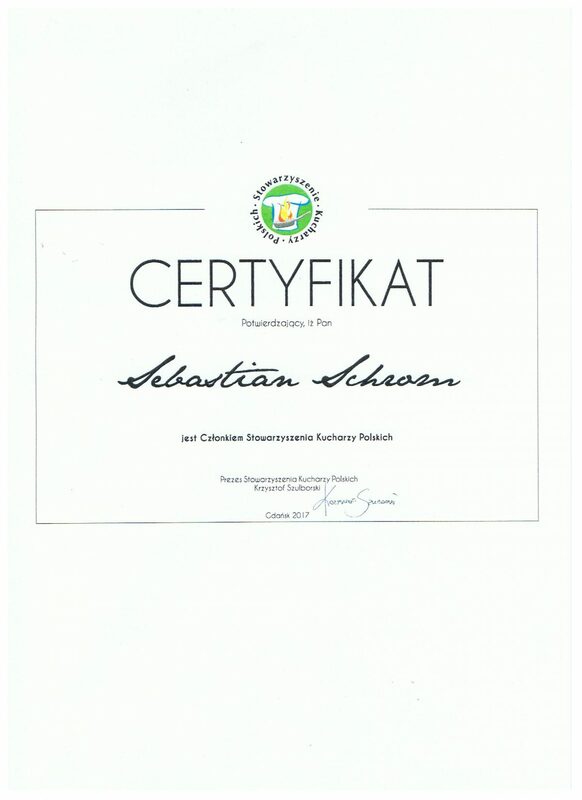 ALSO ANOTHER WE ARE IN THE YELLOW GUIDE “GAULT & MILLAU” – 2019 – WE HAVE A CAP !!! 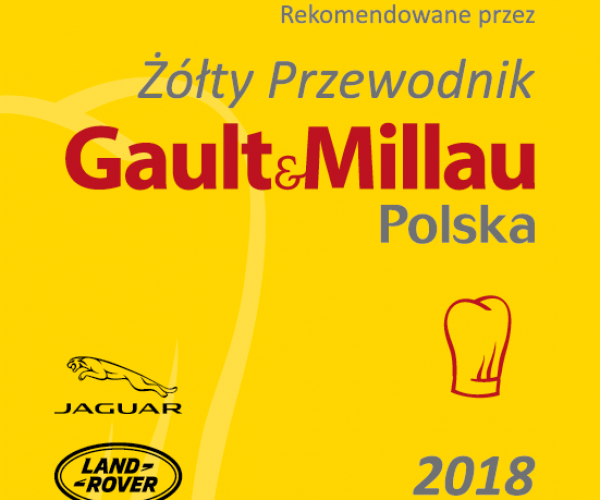 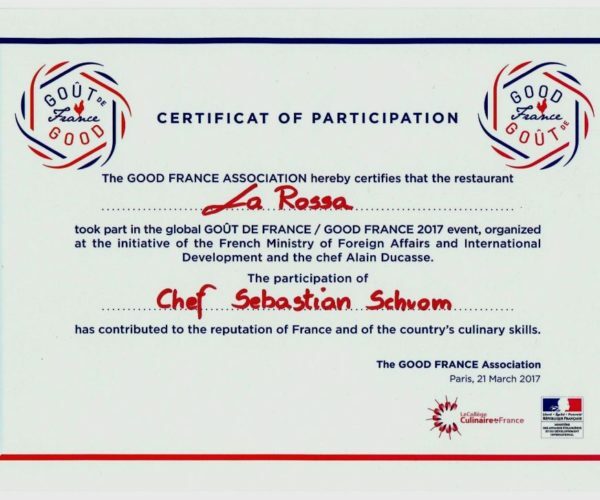 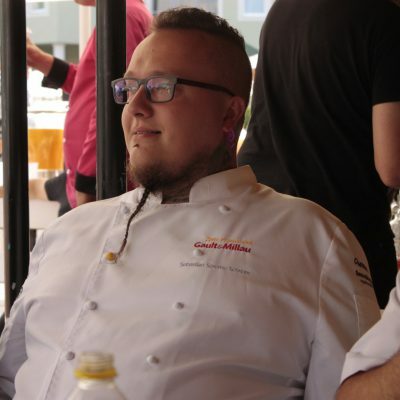 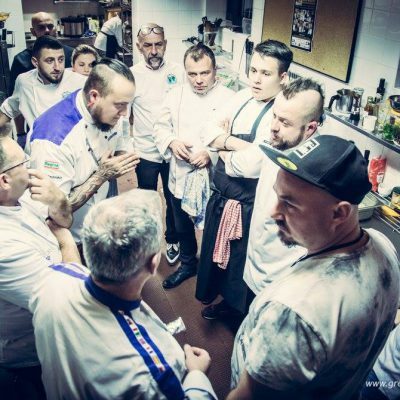 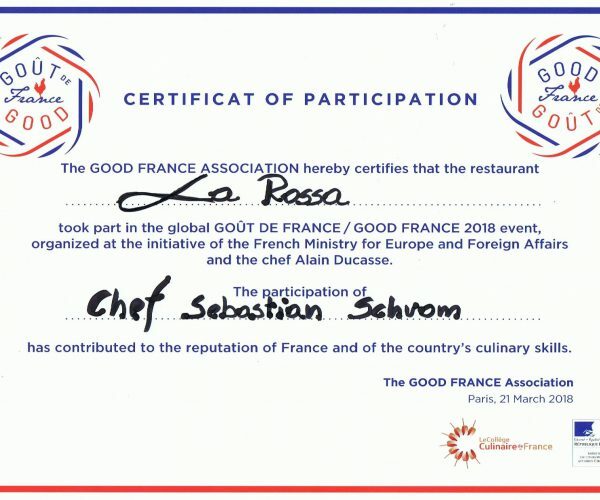 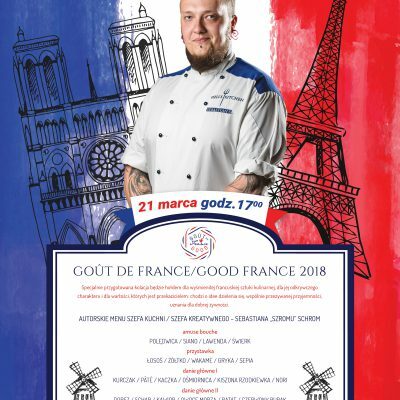 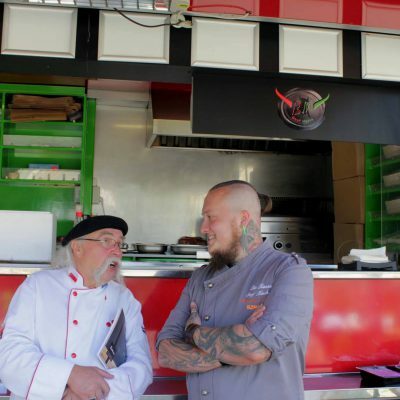 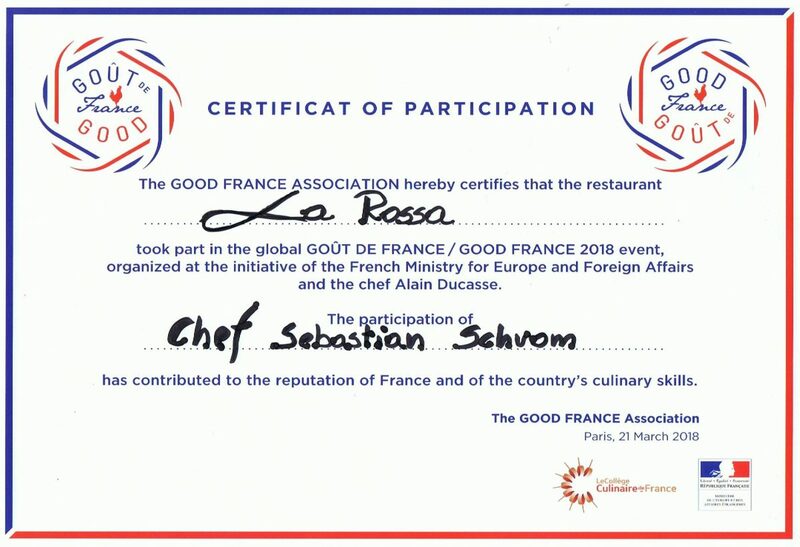 “LA ROSSA AND OUR CHEF” IN THE YELLOW GUIDE “GAULT & MILLAU 2018” – WE HAVE GOT A HAT!!! 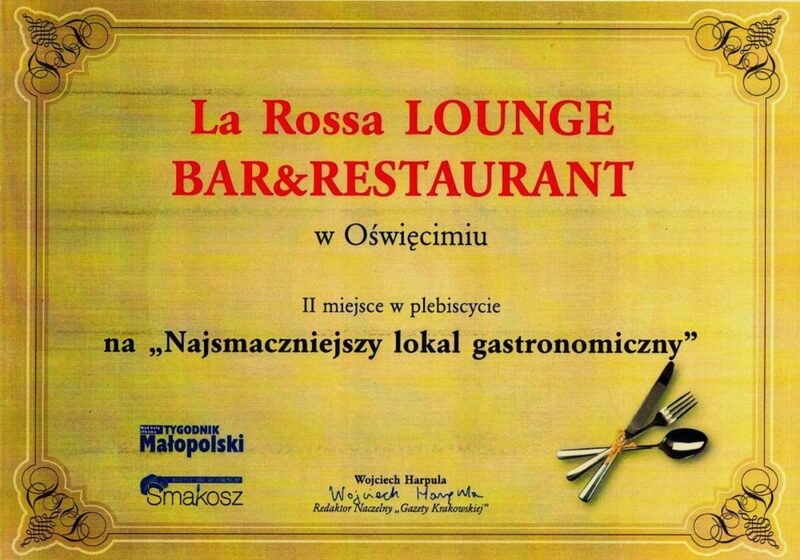 We would like to offer you the possibility of buying the invitation to the La Rossa Restaurant as a gift. 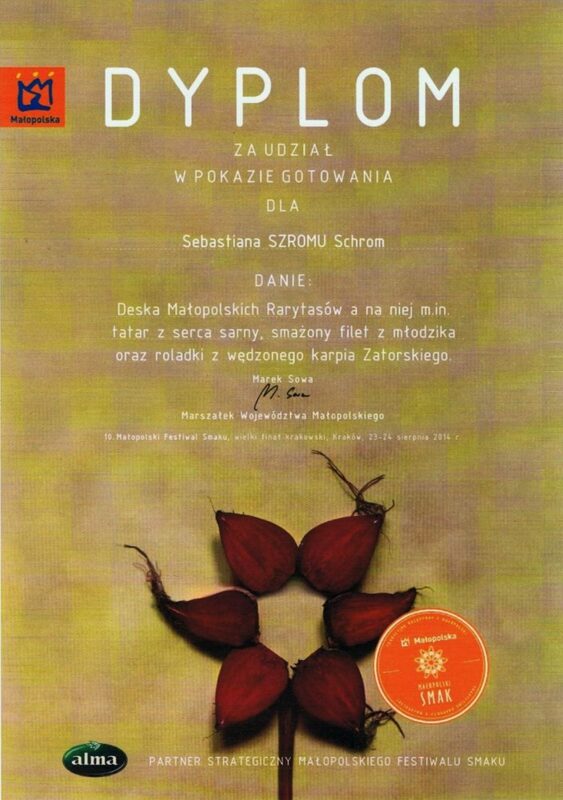 Contact us, order the invitation and make a wonderful present for your closest person. 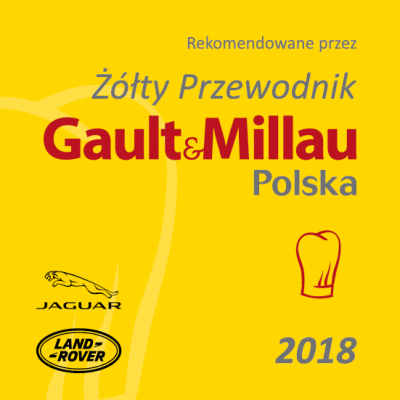 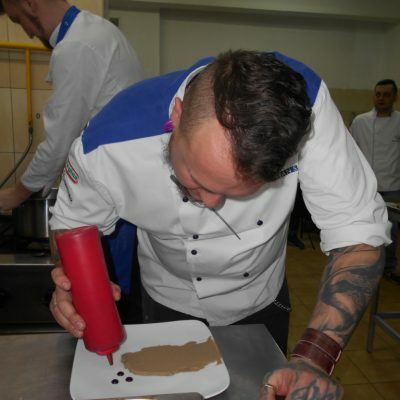 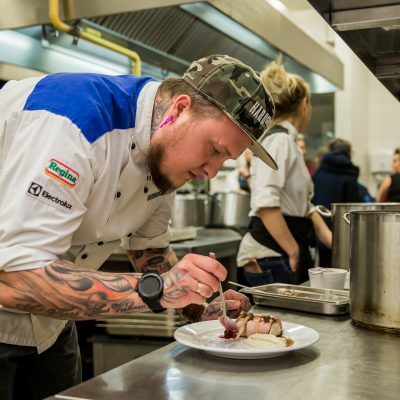 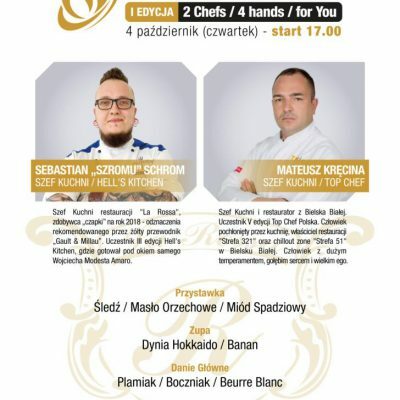 Yellow Guide Gault & Millau Poland is a culinary map of our country. 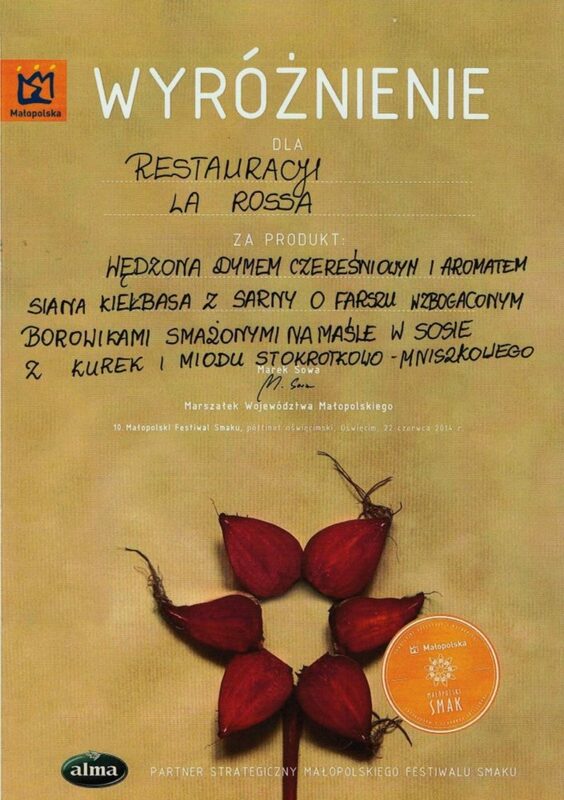 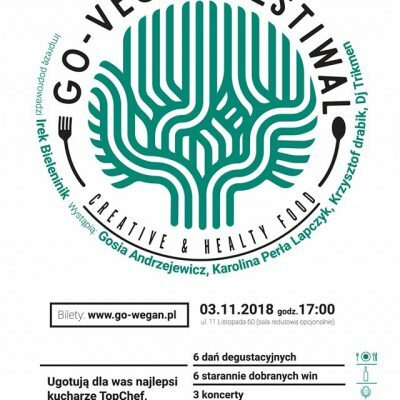 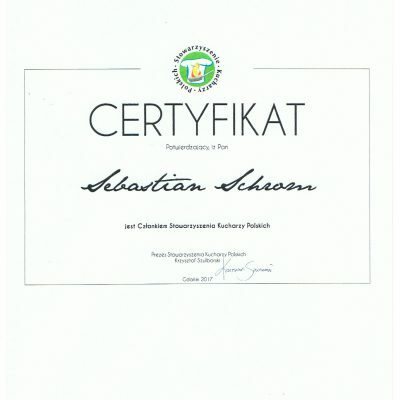 It contains reliable information about where to eat and buy regional products, tested by experts. 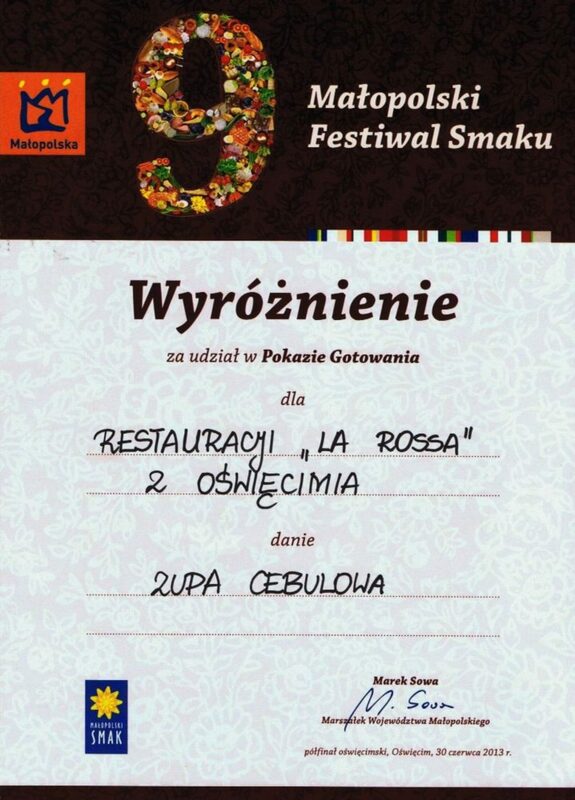 Every year, more than a dozen qualified, anonymous inspectors accurately evaluate about a thousand restaurants. 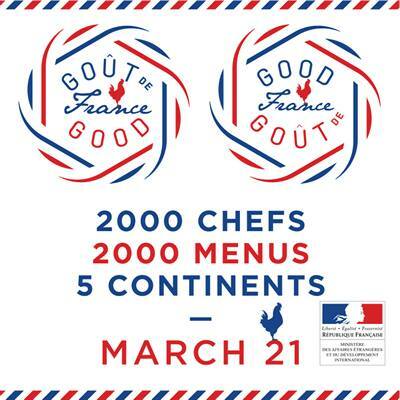 Less than half goes to the guide - these are really remarkable places. 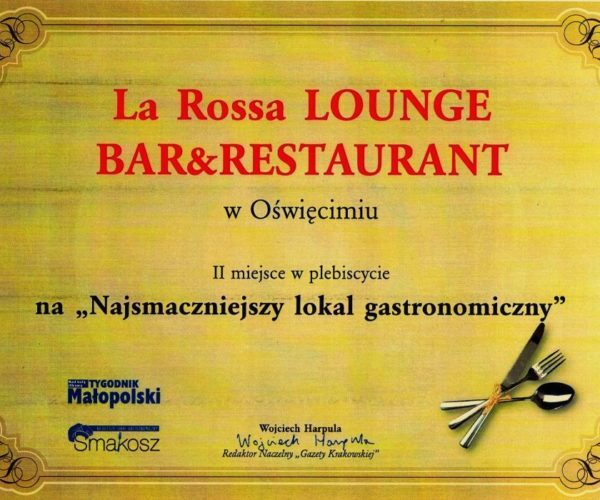 Among which you can also find the La Rossa Restaurant !!! 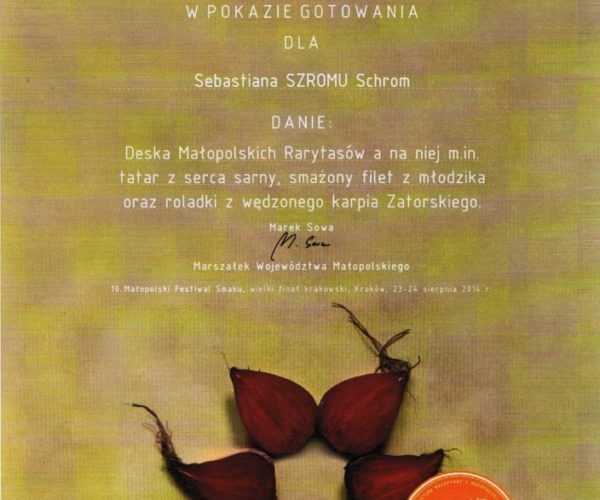 We won the "cap" two years from the government - 2018 and 2019. 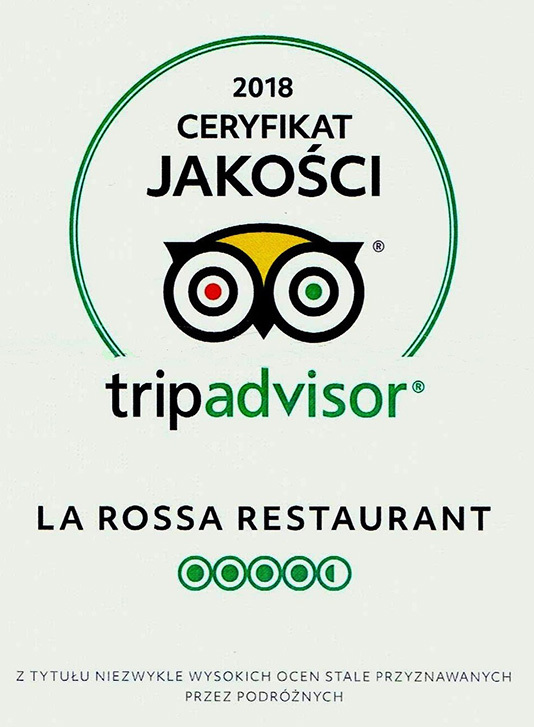 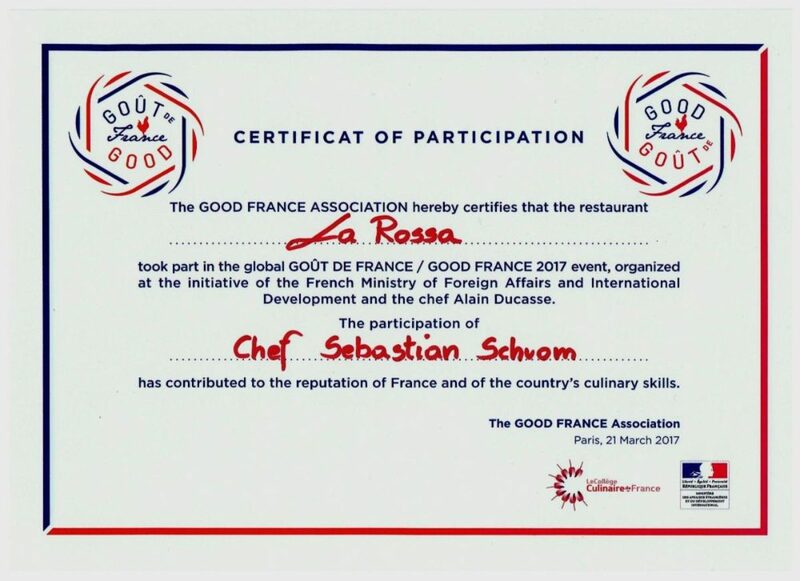 The La Rossa Restaurant, as a 2015 winner received the certificate of excellence from the Trip Advisor – the prestigious travel portal. 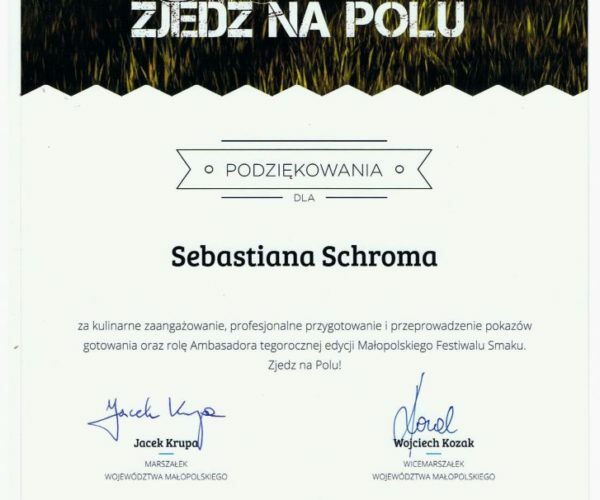 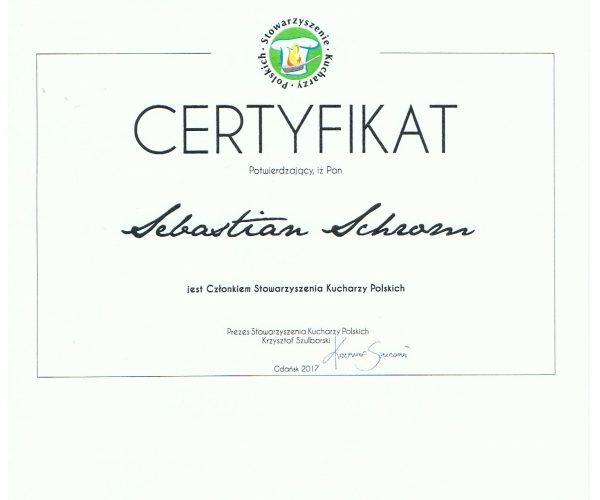 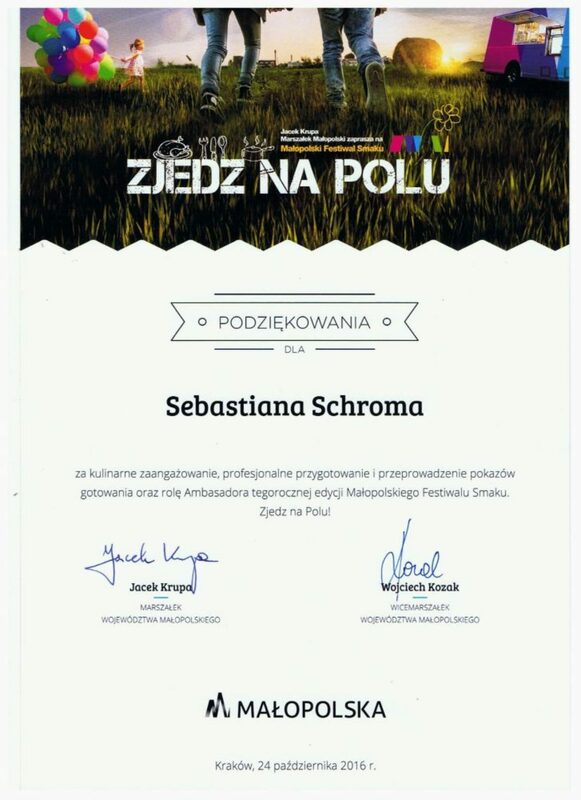 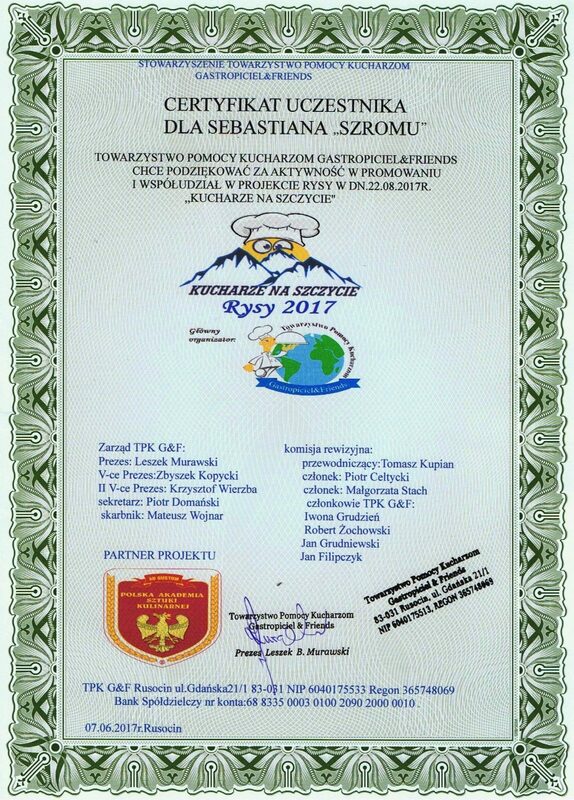 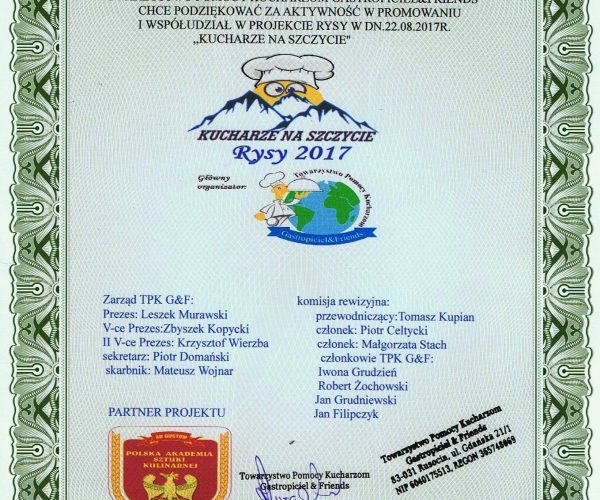 It is a great honour for us and the proof that our services are appreciated by our local guests and by the customers from all over the world.